Email designer is an efficient way to approach your customers through email in a professional business manner. It helps to customize or design the WooCommerce Email as per business needs on the website. 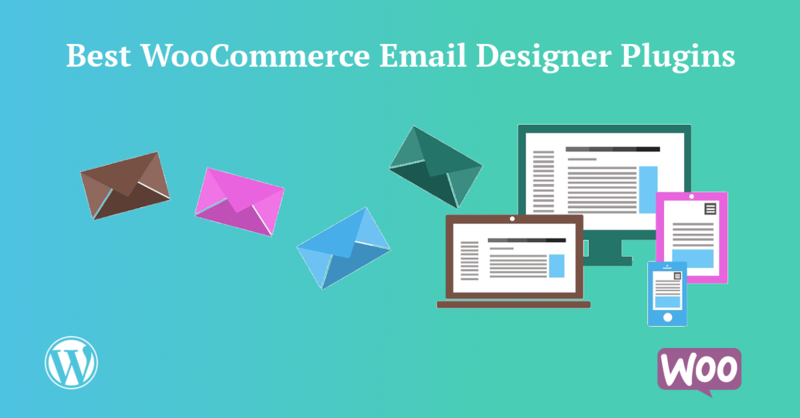 In this article, we have listed the top 10 WooCommerce Email Designer Plugins. WP HTML Mail – Email Designer is a free plugin. It allows you to create a professional email template as per your own ideas. Using this plugin, you can easily change texts, colors, fonts, pictures, alignment in the email and can see all your changes immediately in the live preview. Turn email formatting on/off for specific plugins. Kadence WooCommerce Email Designer is a free plugin which allows you to customize the text or design the email template in WooCommerce without editing code. Also, you can customize the default transactional WooCommerce email templates and edit the design using the native WordPress customizer for instant visual edits. Decorator – WooCommerce Email Customizer is a free plugin. It allows you to customize the email template and can make changes into WooCommerce emails with live preview. Email Customizer for WooCommerce is a premium plugin developed by cxThemes. It allows you to customize your WooCommerce emails. You can customize color, header & footer format, add custom links, link to your social networks, etc. WooCommerce Email Customizer PRO is a premium plugin developed by MonsArt. It allows you to customize the components of your WooCommerce Emails(Header, Footer formats, adding custom links, etc). WooCommerce Email Templates is a premium plugin developed by jopin. Using this plugin, you can customize your WooCommerce email in an effective way and it helps to generate a higher level of customers engagement. WooCommerce Email Customizer with Drag and Drop Email Builder is a premium plugin developed by flycart. It allows you to customize your Woocommerce Email by using Drag and Drop builder option. Lil Commerce – WooCommerce Email Notification Templates is a premium plugin developed by webtunes. It allows you to design your WooCommerce Email. Using Embbeded color option, you can choose a color to match your brand’s style. YITH WooCommerce Email Templates is a premium plugin which is developed by yith. Using this plugin, you can customize your WooCommerce email(welcome emails after the registration and confirmation email after a purchase) in an effective way and can send to your shop users.